After the successful opening of Proctor Station in 2016, we're proud to be moving forward on our next mixed-use project in Proctor. Last night, I addressed some questions surrounding the project with architect BCRA to the North End Neighborhood Council and some Tacoma City staff. You can read the article from The News Tribune below. The North End’s Proctor Station apartment complex is getting a twin, and neighbors are concerned. Dozens of North End residents showed up Monday night to get the skinny on what’s being called Proctor South. 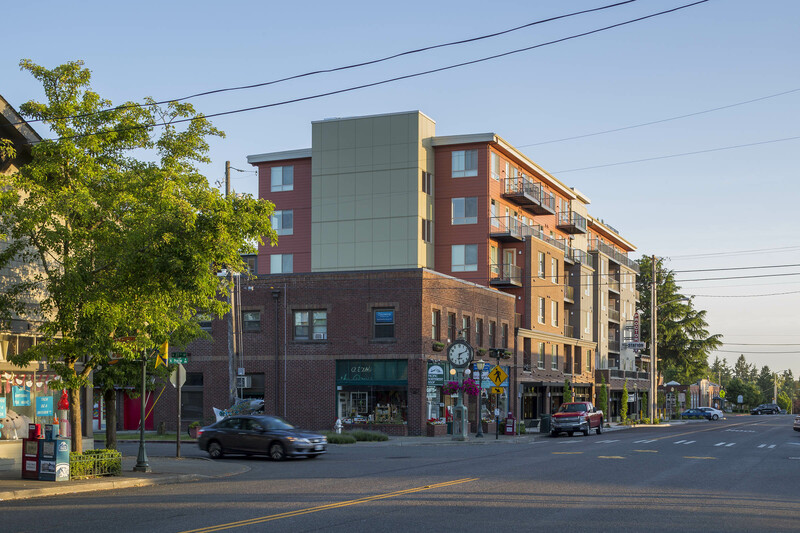 Its a second iteration of the six-story Proctor Station in the heart of the business district that has drawn controversy for parking and traffic issues neighbors say it has caused. The North End Neighborhood Council gathered several city staff and the developers of the 141-unit, six-story Proctor South development — which doesn’t have an official name yet — at Mason Middle School for an update on the apartments planned for North 25th and North Proctor streets. It will have a two-story parking garage underneath the development with 141 parking stalls, and a retail component on the ground floor. The proposed project has passed its state environmental policy act review and is going through the process of being permitted. The developer will be required to mitigate concerns in two areas: soil cleanup and traffic, said Shirley Schultz, a city planner. The location has possible soil contamination because it was the site of a dry cleaner and because of concerns in the North End relating to the former Asarco smelter plume. From traffic studies done near the planned development, which will have its main entry on North 25th Street, it’s anticipated that the result will be 1,200 vehicle trips generated in that area each day, said Jennifer Kammerzell of the city’s public works department. That includes 105 trips between the peak hours of 4 p.m. and 6 p.m. The net effect on traffic won’t be wildly different than what exists now, she added. Parking also is not at capacity in Proctor’s business district, Kammerzell said, and the project is not expected to have a serious effect on the availability of parking, since a garage will be built underneath it. A recent study requested by the business district “indicated that except for two blocks ... parking is pretty available and it’s not at its capacity for use, so there really isn’t an on-street parking problem here,” she said. The study suggested implementing consistent timed parking restrictions across the district and increasing parking enforcement, Kammerzell said. But many residents and business owners say parking in the neighborhood has been getting consistently worse. One resident asked DeWald if each tenant in the new building would have access to a parking space in the garage included in their rent, or if that would come at an extra charge. DeWald said tenants would be charged extra for a parking space, and some bemoaned that that would encourage Proctor South tenants to take up precious street parking. One of the suggested ways to mitigate traffic affects from the project would require traffic coming out of the parking garage to be directed onto North Madison Street, a residential street, instead of onto North Proctor Street. North End resident John Richards said that would create a disruption to the neighborhood as well as safety concerns from increased car traffic down a neighborhood street.